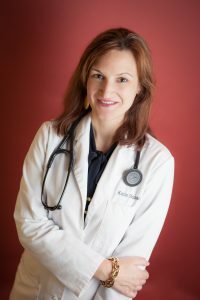 Katie Rezac is one of the leading advanced practice providers in Age Management Medicine in the Kansas City metro area. Her extensive experience and vast knowledge comes from over a decade in emergency medicine and family practice. Early on in her career, Katie recognized there was a better way to deliver health care. She knew she wanted to help people address symptoms before they become chronic disease and medical emergencies. Katie has now been working almost exclusively in functional and anti-aging medicine for the past 5 years, where she has seen first-hand the benefits of preventive care approaches. 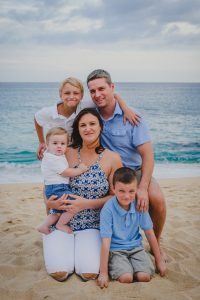 Katie graduated from Marquette University Physician Assistant Program in 2002. She went on to practice medicine in rural South Dakota in one of the most medically under-served areas in the United States, where she made a real difference for those who lacked basic resources. Katie then made her home in the Kansas City area where she has worked in medicine for over 13 years. In 2014, Katie began working with Bioidentical Hormones. She was excited about the improvements she saw in patients and became passionate about age management medicine. She recently attended the American Academy of Anti-aging Medicine World Congress to broaden her knowledge and bring her patients cutting edge therapies. Katie lives in Lee’s Summit with her husband, three sons and dog. Greyson and Ty are active elementary school boys, Ashton is a boisterous toddler and Emma is the family’s geriatric pug. Hobbies include boating, golfing, playing tennis, watching comedies, and traveling. Katie is an integral part of Rock Creek Wellness and looks forward to meeting each of you. Contact our wellness center to schedule your consultation today!